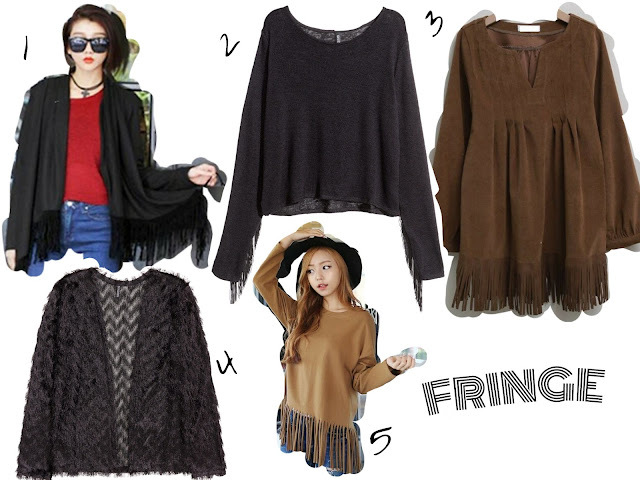 Fringe is everywhere. From bags to jacket to top to anything. I love fringe as it does make things a bit more interesting and adds a little something to an outfit. It can be at the sleeves or at the bottom of the top even the whole clothing pieces. I do think that fringe is seasonless as you can wear it anytime.